Miele is a name that more and more of us have come to hear in the UK within the past couple of decades. The German company consistently produces high quality, efficient appliances – from vacuum cleaners to dishwashers – at a great price. But Miele doesn’t just rest on its laurels; it’s also a powerhouse of innovation. One of its most recent innovations is the TwinDos dispensing system. 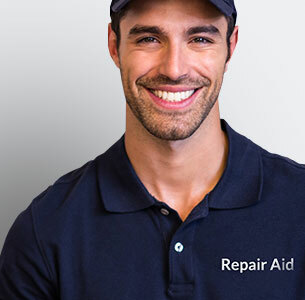 Here at Repair Aid, we’re always keeping up with the latest technologies and innovations to ensure that we’re best placed to repair them if something goes wrong. So let’s walk through what the TwinDos is, what it does and why it is a sought after feature by buyers. Miele’s TwinDos system was introduced as part of the manufacturer’s popular W1 range of washing machines. The system consists of two cartridges that are integrated into the machine. The first, known as the UltraPhase 1, is filled with liquid detergent; whereas the second, the UltraPhase 2, is filled with an enhancement liquid for detergents. The detergent is dispensed during the wash automatically – depending on the programme used – to maximise efficiency of the detergent. Basically, it means that your Miele washing machine with TwinDos will come with two detergent bottles that are inserted into your machine. 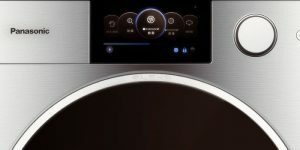 The detergent will be automatically dispersed when you put your washing on – meaning you don’t have to measure how much detergent you need or even put any in. The machine instead judges how much detergent is needed based on the wash programme that you select. When the detergent bottles run out, you can either buy replacement bottles or refill the bottles with conventional, shop-bought detergents and softeners. It’s said that the UltraPhase 1 liquid detergent lasts for approximately 37 washes, while the enhancer solution will last for about 50 phases. And how does this help me? The most obvious benefit from this system is that it removes the need for you to measure out and pour in the right amount of detergent. 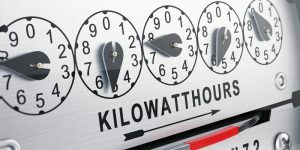 However, it’s more than just convenience – this system can improve the reliability of your machine and save you money too. While Miele is already known for reliability, we do know that when too much detergent is used, it can end up causing problems for your washing machine over time. 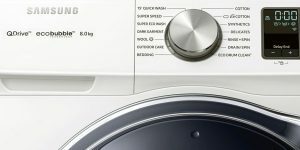 The TwinDos means that you don’t have to worry about putting too much (or too little) detergent in – meaning that your clothes are correctly washed and your machine runs into less problems. And it has been proven that many of us tend to use too much detergent in our washes – as many as 1-in-3 of us. This isn’t just bad for the environment, but it’s bad for our wallets and purses too. If you’re using too much detergent, then you’re spending too much money on detergent. The TwinDos system, however, won’t use too much – meaning that you’ll save money as a result of the system using the right amount of detergent. This is because you’ll be less likely to use up your detergent faster. Not only that, but you’re going to get the best cleaning results too. The Hohenstein Institute, a research centre held in high regard, tested the quality of the liquid detergent and found that the UltraPhase 1 and 2 is the best liquid detergent available on the market today. 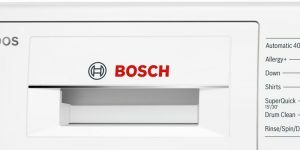 As of early 2019, it’s possible to pick up a Miele washing machine with the TwinDos automatic dispensing system for somewhere in the region of £1,000. Miele’s build quality is outstanding and you can’t really go wrong with buying one of their machines. But if we’re looking specifically at whether or not the TwinDos system is worth having, it really does depend on your personal choice. You may have concerns that the UltraPhase system means that you’ll be tied into using Miele’s own liquid detergent, but you can actually use any liquid or powder detergent after the initial batch runs out. If you like to be in control of how much detergent you use – which could be an important factor for those living with skin conditions – then the feature won’t really offer you much. However, for everyone else, the TwinDos can definitely be a time-saver. But is the time saved worth the premium? Again, the choice is yours, but in our experience Miele’s appliances are always built to last and with quality in mind. The TwinDos is a nice cherry on top for those looking to shave a little bit of time off of their daily chores. Panasonic Washing Machine – Backed by Porsche?